Swiss-born Hedi Schoop left Germany in the 1930s for Hollywood, California. An accomplished dancer, she abandoned the theater to escape the rise of Nazi power. 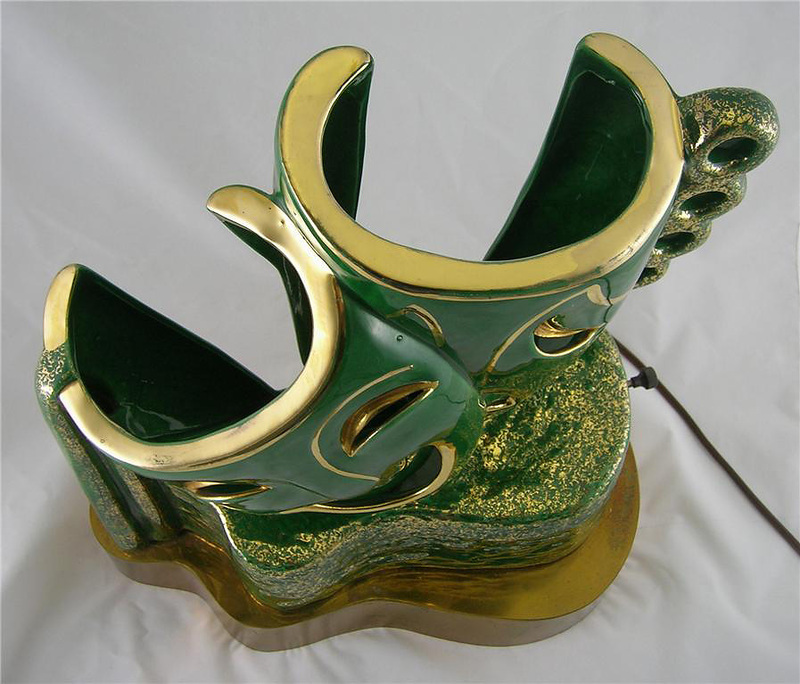 Once in Hollywood she began experimenting first in plaster and later in pottery, opening a large facility for pottery production in 1940. 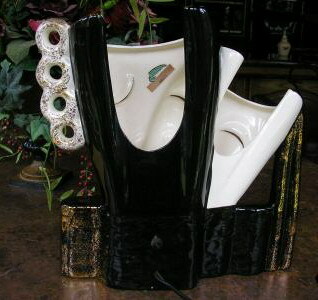 She soon became one of California's most respected manufacturers of ceramic products. 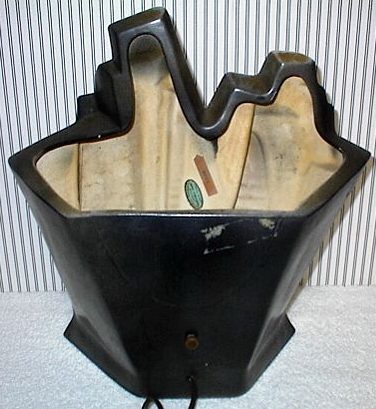 Hedi Schoop Art Creations came to an end in 1958, when fire destroyed the pottery. Hedi Schoop TV lamps aren't common, and typically bring top dollar. One of the most prized TV lamps of all is Hedi Schoop's "Skyscrapers" lamp, a large design with oddly canted buildings. 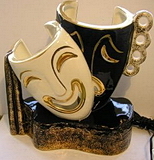 This Hedi Schoop comedy-tragedy lamp follows traditional lines, but has a flair that others lack. Rare. Photos courtesy of John Dyer. 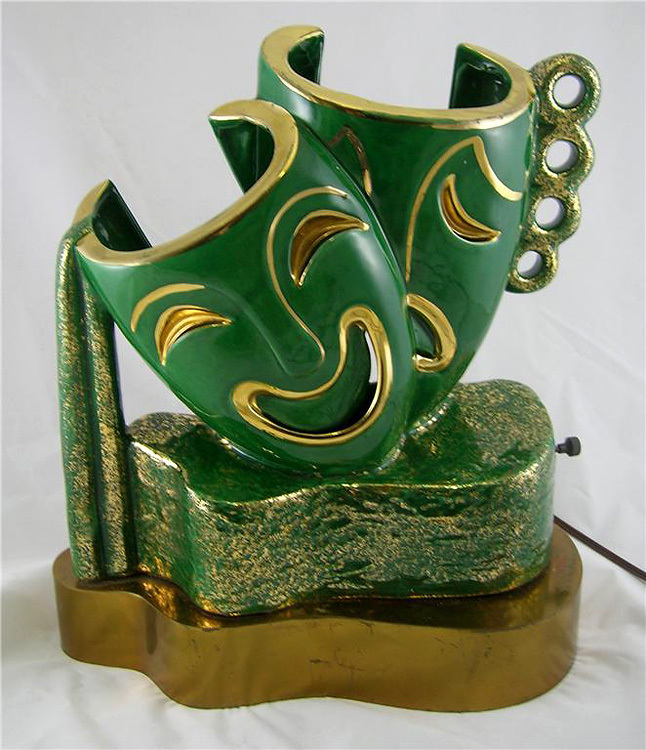 Back view of the Hedi Schoop comedy-tragedy TV lamp. 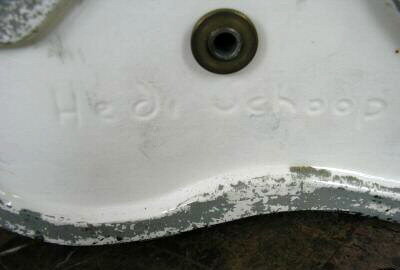 Close-up of the Hedi Schoop marking. 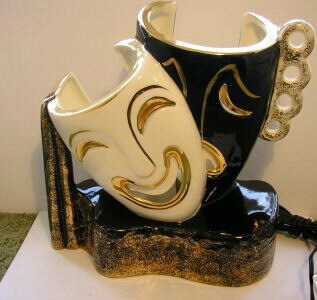 Here's another color variation of the comedy/tragedy. 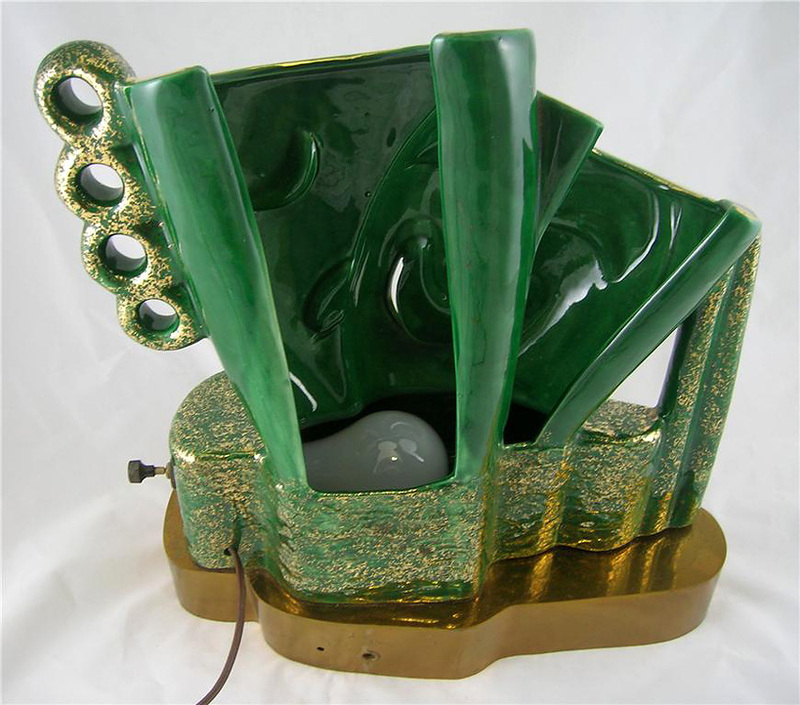 One of the rarest and most desirable of all TV lamps, this skyscrapers design by Hedi Schoop is spectacular! 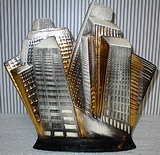 Back view of the skyscrapers lamp.